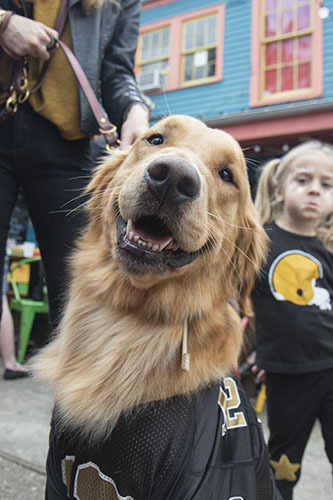 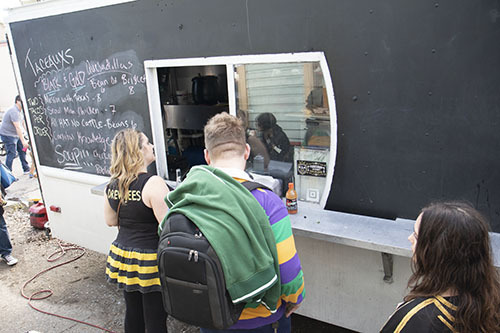 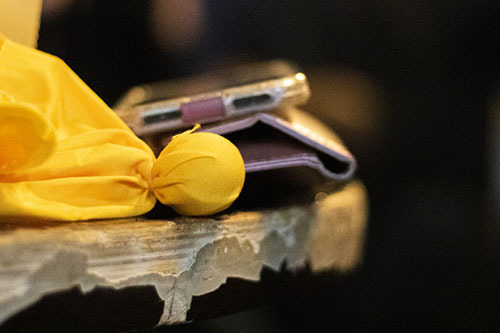 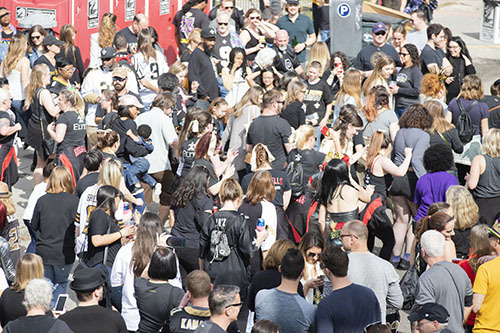 On Sunday, Feb. 3, almost all of New Orleans boycotted the Super Bowl in one fashion or another, after the Saints were kept from the big game thanks to a missed call by the referees in the NFC Championship game against the Los Angeles Rams. 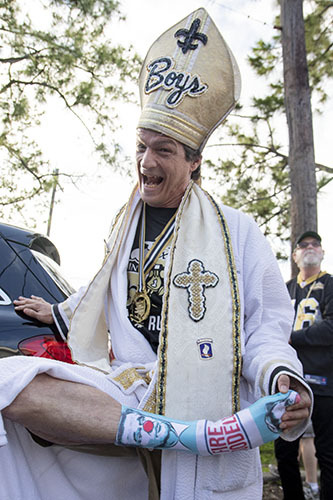 For many, boycotting the game was more fun than watching the game. 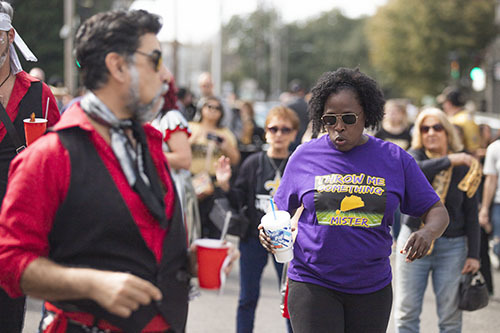 Among the Uptown venues hosting boycott events, Dat Dog threw a block party, Kingpin had a second line and Tracey’s served seafood. 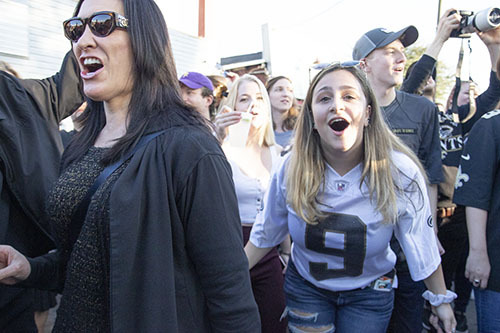 The boycott put a large dent in local viewership of the Super Bowl with a 26.1 rating. 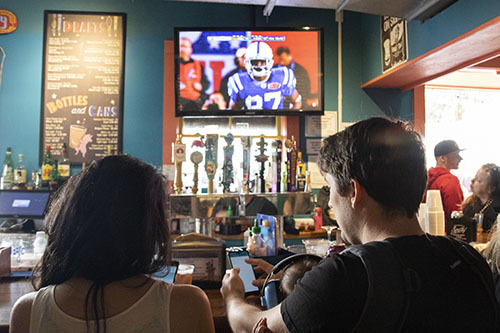 Nationally, the game’s viewership was the lowest since 2009 with a 44.9 rating. 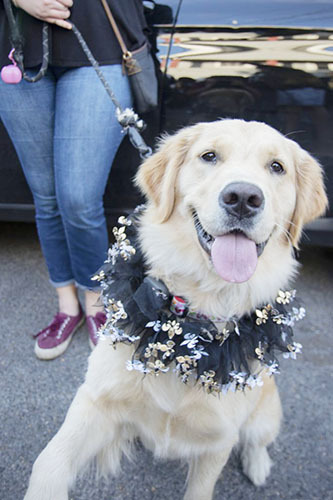 Dat Dog held an Anti-LIE block party, closing off Magazine between Toledano and Louisiana. 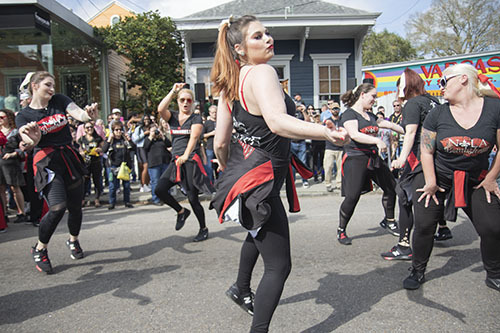 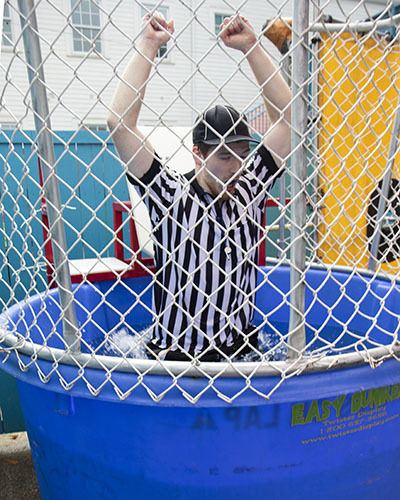 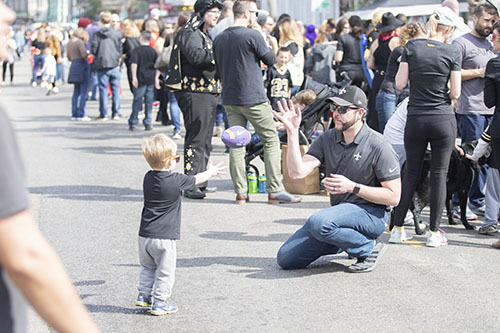 At the block party there were dance competitions, replays of the Saints’ 2010 Super Bowl victory, a referee dunk tank and more. 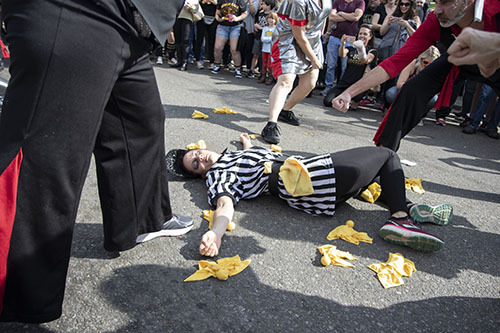 Penalty flag and referee costumes were a frequent sight. 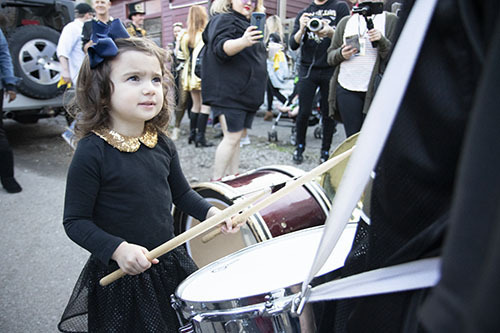 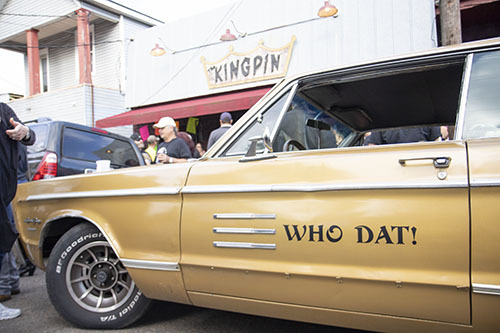 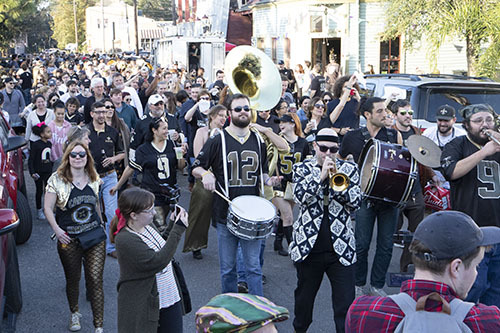 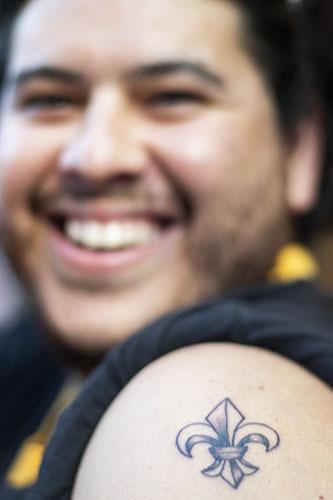 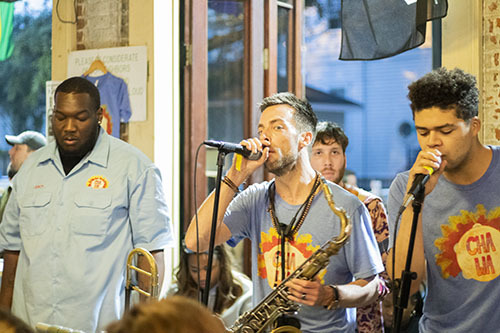 Kingpin bar hosted a second-line led by the Big Fun Brass Band. 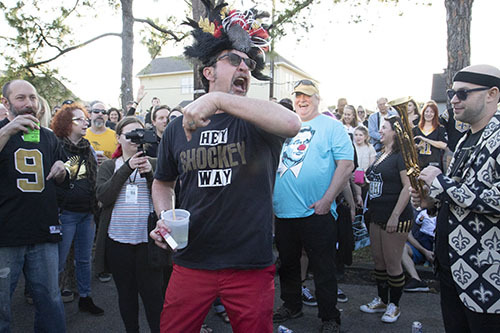 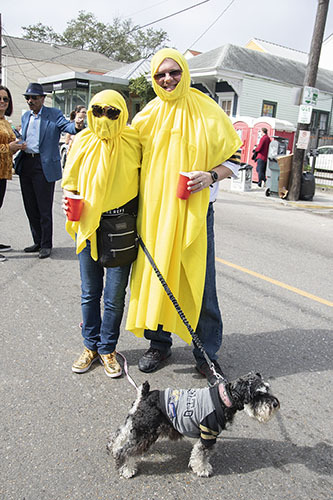 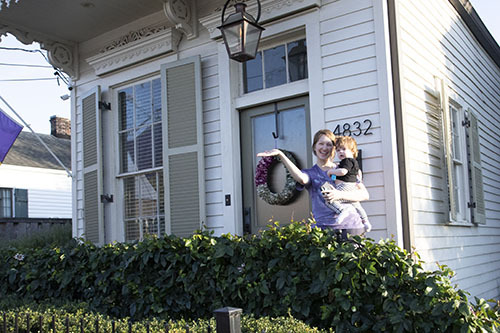 Ashley Chadwick holds Hamilton, 1, as they wave to the second-line. 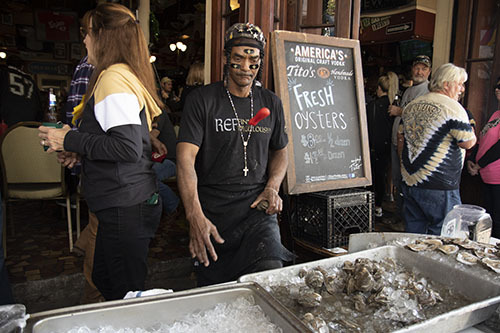 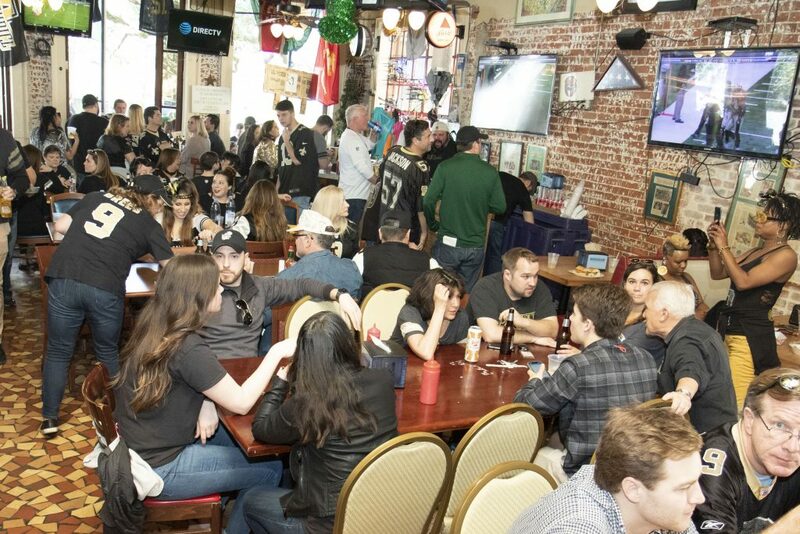 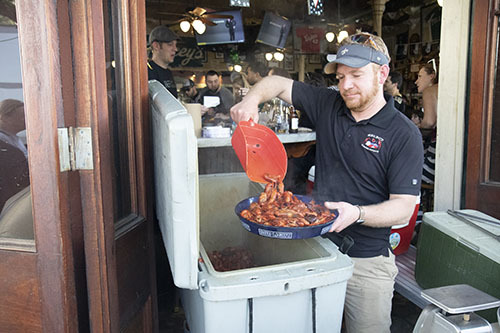 Tracey’s Original Irish Channel Bar on Magazine street served boiled crawfish and raw oysters, hosted live music, and replayed the Saints’ 2010 playoff victories.